In my ongoing series, Conversations, I talk with interesting people who have something compelling to s ay about family relationships. 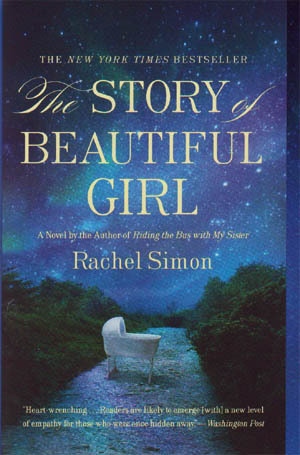 Today I’m chatting with Rachel Simon, bestselling author of The Story of Beautiful Girl and Riding The Bus with My Sister. Lynne: I often talk about what a wonderful vehicle fiction is for teaching. I found The Story of Beautiful Girl to be a powerful narrative that does so much to educate readers about people with disabilities, what they want and hope for, how universal our dreams and desires are. How do you think novels in particular educate readers, as opposed to nonfiction? Rachel: Two answers come immediately to mind. In fiction you don’t have to come to a single way to respond to what’s being written about, you may even experience ambiguity. Fiction can prompt a reader to rethink previous positions on the issues at hand, about characters; the reader may go deeper than they’ve gone before emotionally. Enlarging their perspectives. In fiction, writers aim to move our hearts. The second real difference between fiction and nonfiction, is that in fiction a writer with a great toolbox, real skill, can write from multiple points of view. Allowing readers to see the world through many different people’s eyes. With more than one story, many issues can be addressed, none of which have to lead the reader to any particular conclusion. Multiple points of view in a story, ask readers to imagine other lives. In this way, these stories are so powerful. I believe great novels of the past, even the bible, have stood the test of time for this reason. Nonfiction on the other hand has only one perspective. And of course the danger of writing nonfiction, is writing with an agenda. It shouldn’t be a writer’s intent to write with specific messages in mind. 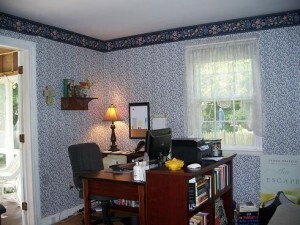 Lynne: You’ve written nonfiction memoirs. Most notably, Riding the Bus with My Sister. When do you choose to write a story from a nonfiction point of view or as fiction? When you get the germ or seed you know will become something, how do you know it will be fiction or nonfiction? Rachel: For me there has always been a lot of considerations. When I was an event coordinator for Barnes and Noble, I saw fiction events not well attended. For nonfiction of all kinds, events were well-attended, we sold books. At that time, memoir was a big trend. It was the rise of the stories like Angela’s Ashes, The Color of Water. I’ve always wanted my work to be read widely, and I thought perhaps I can try my hand at memoir. Enter serendipity. I wrote a piece on my sister and her bus schedule for the Philadelphia Inquirer. My colleagues said, “This is a memoir.” I wondered how would I structure it, and then with a lot of thought, hard work and support, I wrote Riding the Bus with My Sister. The book became a big deal, then movie, and led to speaking engagements about my experiences having a sister with disabilities. Lynne: So you’ve written nonfiction about your experiences, and now a novel exploring similar themes. Do you consider yourself an expert on persons with disabilities? Rachel: No. I’m only knowledgeable about my experience. Every day is a learning process. The older I get the more I listen. Both experiences—my writing in general—have invited people to share their stories with me. And each one reminds me what I know and what I don’t know. I am increasingly curious. I try to live consciously with an open mind and heart—even though at times I don’t. My whole idea of society is informed by my sister. I believe we are here to help each other. From that you gain a strong sense of what social justice is. It’s part of why I’m here. To do the right thing. To encourage others to do the right thing. To be a translator. I see myself as playing a key role in helping others to understand her, to help her to understand the world. What I’ve learned that’s so valuable is that so often our stories may at first may seem at odds with each other. The parent, the teacher. But in fact they aren’t. There is something larger at play. A skilled writer writes from the vantage point of a person’s truth, about psychological understanding of themselves, who they love, or she invites others to go on a journey with fictional characters. Somehow this allows readers the opportunity to examine universal truths. Rachel Simon is the award-winning author of six books and a nationally-recognized public speaker on issues related to diversity and disability. Her titles include the bestsellers, The Story of Beautiful Girl and Riding The Bus with My Sister. For more about Rachel, her books, and her speaking engagements visit her website. Lynne Griffin is the author of the family novels Sea Escape and Life Without Summer and the parenting guide Negotiation Generation. You can find her online here: www.LynneGriffin.com, and atwww.twitter.com/Lynne_Griffin and at www.facebook.com/LynneGriffin. You wait for your characters to reveal the heart of their stories to you. You read and reread your novel, begging it to sing so you’ll know you’re done. You wait for an agent to read your manuscript, then an editor to make an offer. Rejection slips come in the forms of radio silence and impersonal no-thank-yous; and while some are dotted with blatant encouragement—just as a kiss is still a kiss, a no is still a no. The job description for writer should include a line in bold letters: Impatient pessimists need not apply. Certainly leading up to the publication of my third novel, I’ve got my share of gloomy moments and faithless days, otherwise known as pre-pub jitters, but I’ve got a much stronger handle on how to manage expectations this time around. The trick for me, when it comes to persevering in the face of the obstacles to successful publishing today, is to sprinkle my hopes with a dash of reality and a pinch of practicality. Though it may seem counterintuitive, the first step is to dream big. If you don’t believe—to your core—that great things are just around the corner, why would you keep on keeping on? Who will have faith in you, if you don’t have faith in yourself? Sadly, there will be times amidst all the waiting, to say nothing of all the rejection and opportunities just beyond your grasp, when self-doubt will take up residence. Only your faithful inner voice spurring you on will be what sustains you. The emotional work involved in maintaining a healthy outlook involves the daily exercise of pulling negative self-talk from the brain like lint from a favorite sweater. I can’t do it must be replaced with, yes, I can. This is impossible must become all things are possible. Being positive is an essential ingredient to living a literary life. The bridge from writer to author to career novelist is paved with perseverance born of hope. What some see as platitudes, I hear as mantras. Dream big. Believe. Be bold. Still, there’s a downside to trusting your abilities, to reveling in your accomplishments too readily. If you dream big and hope large, you leave yourself in the path of disappointment. Let’s say you’re new at this writing gig, and you envision yourself situated on a comfy couch at Harpo Studios holding your latest hardcover. When Oprah’s OWN doesn’t call—and I’m telling you, you’re more likely to be struck by lightning—you’ll be crushed. Worse, you might consider an appearance on WLS talk radio a letdown, when in fact who wouldn’t love to shout out, Good morning Chicago? The impressionist painter Henry Matisse said, “What I dream of is an art of balance.” If this is the key–and I believe it is–then managing expectations means holding on to enough positivity so you can persevere, energized by all the possibilities, while still being realistic enough to protect your heart, so you can get up another day to face the blank page, the bad review, your lousy Amazon ranking, or someone telling you at your own reading that she only reads happy books. The secret salve to managing expectations is a bucket of hope mixed with healthy doses of resignation. Want a reality check? Whether you’re working on your first novel or third memoir, some aspects of the journey stay the same. • Lots of homework. You know what they say about luck; it’s what happens when preparation meets opportunity. Learn about the industry. Join online communities. Read success stories. Build your career on a solid foundation of knowledge and collegial relationships. • Regular mental gymnastics. I’m fortunate to have a fantastic agent and a marvelous editor, still the decisions about my career ultimately rest with me. Should I hold on to foreign rights? Accept a two book deal? Hire an independent publicist? These and other risk vs. benefit decisions can be informed by others, but I must process the options and decide what’s right for me. • Loads of advice. Other writers and industry insiders will insist you blog, tweet, and create a Facebook fan page; join Library Thing, Red Room, Good Reads…good grief! You should do these things only if you want to. And only if they fit your personality. Choose the tools to raise your profile that you know you’ll stick with. If you try to do it all but then never engage with readers or update your feed, it’s about as helpful as shouting out your bedroom window—buy my book. The way to get mileage out of your efforts is to pick what suits you, then be consistent, and be sure to have fun while you’re at it. • Cycles of writing followed by phases of publicity. No one will be as invested as you are in bringing your work to readers. Yet to build momentum, you need to keep producing. 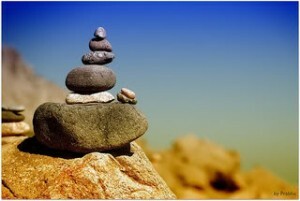 Balance time to write with time to promote by creating routines and keeping to a schedule. I’ve found it works best to write first, and then reward myself with time on social networks. • Perpetual waiting. Even after a grueling revision, another will be required. First novel or third, agents and editors take time to read, suggest edits, or make offers. Get used to delays and lag times. When action is required, things happen fast. The rest of the time it’s limbo. Though easier said than done, resist the urge to check and recheck email or waste time playing online scrabble. In those in between times, my best advice is to keep your head down and write your next novel.